Ideal size for children and smaller adult clothes. Lovely range of colours available, pink, blue, white or mixed. 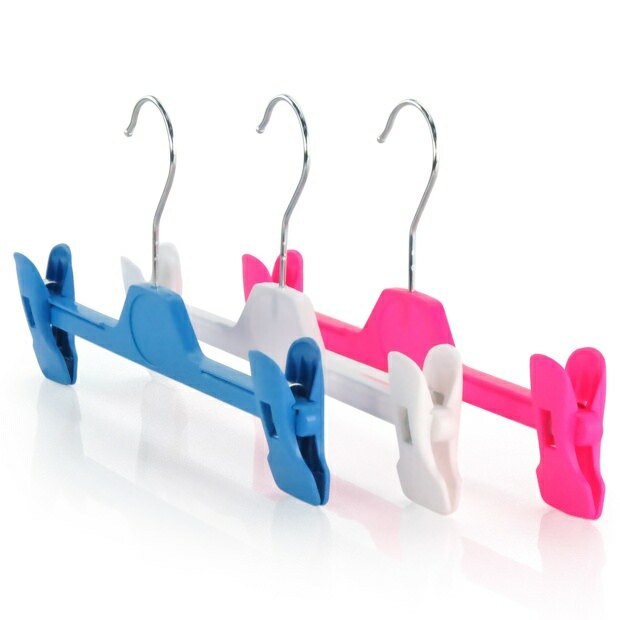 Fully adjustable clips, slide along length of hanger. Strong, smooth plastic with swivel metal hook. Protective grips on the underside of each clip to hold garments securely whilst avoiding fabric damage. Hang garments many ways, e.g. trousers can be hung from waistband or from the legs. Size: Adjustable Width 13cm - 28cm (5.1" - 11") approx.